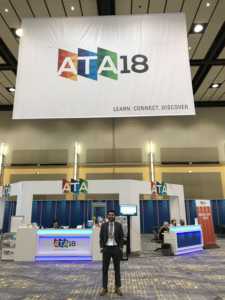 Highlights from ATA 2018 by Norm Volsky - Direct Recruiters Inc. 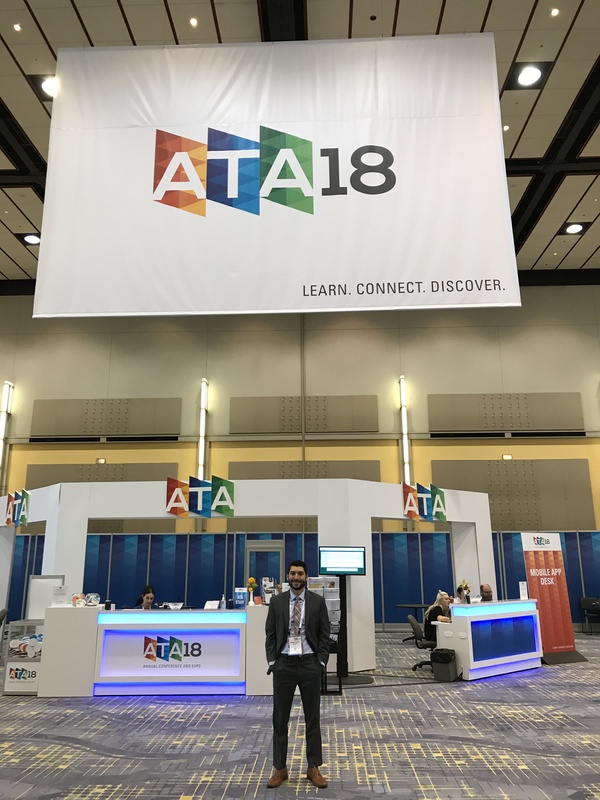 Earlier this month I attended ATA in Chicago, the world’s largest telehealth innovation and networking event. With over 4,500 participants at the event, I was able to meet with many leading professionals in the industry. Specifically, I enjoyed meeting with 14 innovative companies to discuss the new and interesting things they’re doing in the healthcare and telehealth industry. Below I have highlighted these companies with an overview of each company and some of the new initiatives they’re taking in the space. Agile Health: Mobile health engagement vendor creating digital conversations to improve population health and achieve better healthcare outcomes through lasting behavior change. Agile intelligently and seamlessly blends automated and live coaching support to deliver a suite of highly interactive, evidence-based programs with a substantive record of clinical validation and proven results. Agile has an 85% engagement rate, a 25% reduction in total cost of service, a 46% reduction in readmissions at 90 days, and 4.75 of 5 patient satisfaction rate. Analyte Health: Care enablement platform that helps consumers better own their health. Analyte allows consumer to do lab testing in the comfort of their home and get lab diagnostic information and test results quickly and accurately. Not only is Analyte speeding up the time of diagnosis, the simple and convenient platform encourages consumers to get tested for conditions that they would have put off otherwise. CareDash: Doctor Review platform that makes it easy for consumers to find, compare and review doctors. CareDash is hell-bent on bringing transparency to the healthcare market and developed a tool to notify patients if their doctor has accepted money from Pharma companies. The peace of mind CareDash provides its users is invaluable to patients who are not sure if they should be on a certain medication. This type of info can help the entire healthcare system fight the opioid epidemic. CirrusMD: Text first virtual care platform that gives patients instant access to healthcare. Having 4 of the largest 10 health plans in the country as customers, CirrusMD delivers impactful interactions with in-network doctors for millions of patients. 70% of virtual visits require no additional follow-up resulting in major cost savings for the entire healthcare system. Fitango: Care Management and Patient Engagement vendor helping its customers move towards value-based care. Their HIPAA compliant solution enables all the stakeholders to communicate including: Care Managers, Care Givers, Providers, Network Managers, the Patient and their family. Fitango’s approach is preventative in nature and is geared towards the post-acute setting. Recently the company launched Oncology Pathways which is a precision oncology platform. In addition, Fitango launched an advanced care planning module for end of life situations which helps family members navigate through very difficult decisions. GlucoMe: Digital Diabetes Care company that simplifies the way patients, caregivers and providers manage diabetes. By combining diabetes monitoring hardware, mobile app solutions and cloud-based computing, which supports their Digital Diabetes Clinic, GlucoMe enables healthcare professionals to continuously monitor their diabetes population. Based in Israel, GlucoMe works with the top HMO’s in Israel. Partnering with Apollo Sugar Clinics allows GlucoMe to potentially help hundreds of thousands of diabetes patients manage their condition in India. Also, a new parternship with Diaman in Latin America is expanding GlucoMe’s global reach. A year ago, industry veteran John Erickson was appointed to be EVP and GM of North America. Intelligent Retinal Imaging Systems: IRIS’ Diabetic Retinopathy Diagnostic solution helps caregivers prevent their patients with diabetes from going blind. Its early-detection screening platform provides an end-to end-solution for primary care including patient identification, diagnosis, reimbursement and referral. This allows its customers to increase access, improve care coordination, reduce costs and achieve HEDIS compliance. The number-one leading cause of blindness in adults is diabetic retinopathy - and 95% of vision loss is preventable with early detection which is the problem IRIS helps to solve. After winning a Microsoft 2017 Health innovation award, IRIS was also featured at the Microsoft Build Conference 2018 this past week for their work on Artificial Intelligence algorithms to enhance the identification and diagnoses process for diabetic blindness. InTouch Health: Made big news in acquiring Reach Health which was announced at the show. Offering secure, reliable and scalable telehealth, InTouch has 130+ Health System customers at over 1750 locations. They provide over 30+ use cases and were recognized as a category leader for virtual care platforms by KLAS with a score of 90.1 out of 100. Medici- Created WhatsApp for healthcare with an emphasis on user experience allowing patients to avoid waiting rooms, save time and money and get treated faster. Medici built a business platform for providers to communicate HIPAA compliantly with their patients and “unchain their practice.” The text, phone and video capabilities allow for seamless communication, e-prescribing and referrals. Providers can also bill via the app which caters to patients with high deductible plans. Medici launched in South Africa last year and is looking to expand their international footprint. Veterinarians have started using the Medici app which is an entire new market vertical for the company. Medsolis: Care Management and Patient Engagement vendor offering a BYOD app that was named a Top 10 Telemed company by CIO Review and won the Most Innovative Care Management Product award from Frost and Sullivan (out of over 50 vendors). With the ability to personalize, automate and humanize, their solution is extremely interactive and loved by patients and care teams. Their ‘My Goals’ module allows a patient or care team to set out goals and the simple and interactive platform allows them to track the patient’s progress on their way to reaching their goals. Trapollo: Enables payers and providers across the United States to have collaborative relationships with their patients/members. With the infrastructure of being a Cox Communication owned company behind them, they can provide their customers unmatched services with their remote patient monitoring program design, management and logistics expertise. Trapollo’s integrated solutions deliver keen insights that help clinicians monitor a patient across the continuum of care inside a patient’s home, helping them manage chronic conditions and comorbidities. Trapollo realizes that their employees might be the only voice a patient hears all day and their goal is to “have an attitude of compassion and love as they help solve any technical issues they might experience while enrolled in a program." Recently Trapollo hired Cox veteran executive Mike Braham to lead the company into explosive growth. Vivify Health: Remote Patient Monitoring Platform helping move the industry toward value-based care. Helping its patients manage their chronic disease, Vivify is one of the leaders in mobile population health management. In 2017 Vivify was awarded a patent for extending EMR’s with Digital Health. UPMC which is a customer’s of Vivify did a presentation at the show explaining how Vivify has helped them improve patient outcomes in their health system. Zipnosis- Provides its customer a significant ROI which has been proven to convert 25% of patients from the telemedicine platform to in-person customers with an average spend of $3K per year. The providers that were using the Zipnosis platform met guideline adherence up to 95%. Key customers include: Baylor Scott and White, UCLA Health and Mission Health. 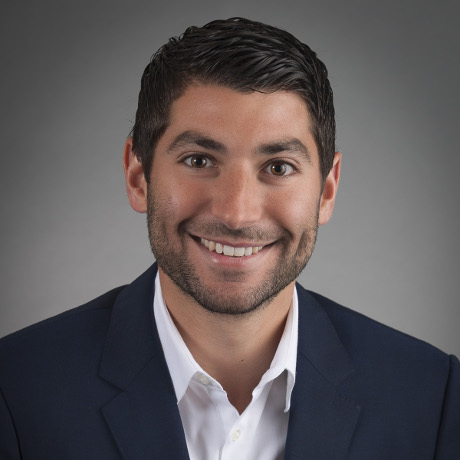 In April, Zipnosis added post-surgical care services to its telehealth platform. Zipnosis also partnered with AAFP which gives thousands of family physicians access to their telehealth platform. ATA was a great event and I was thrilled to meet with these great companies. Please reach out to me if you’d like to discuss your insights from the event or if you’d like to chat about the telehealth industry in general.